It has been a while since a "great" new iPhone App lands on my home screen. I was starting to think that the creativity juice of iOS developers was all ended and that I would have been stuck with the same old apps that didn't upgrade my productivity with brand new innovation. 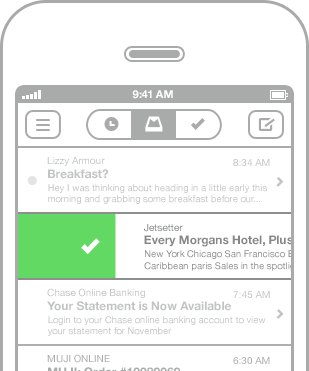 But all of a sudden, from the mist came out Mailbox App. My colleagues and clients know very well that I read emails just three times a day (9.30 am, 1.30 pm and 6.00 pm). I do this to focus on my active projects providing a better service and keeping sane by not being overwhelmed by information and requests. Now, with Mailbox, I'm able to enhance even more my email management workflow by forcing me to open, review and dispose each email immediately. I just hope they upgrade the app with a few new features, such as like Email Alias support, Gmail custom lists integration and Html signatures. You'll wonder how you ever lived without it once you experience the sense of achievement viewing the Inbox Zero screen. It's a true gem in modern task management. 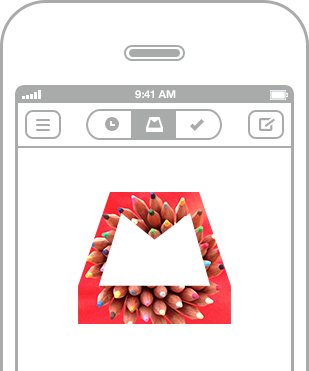 Download Mailbox ASAP, it' free on the App Store.